Charts lend understanding to the characteristics of owls as well as provide guidance in the owl pellet dissection process. 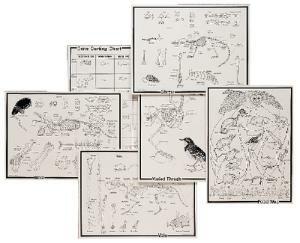 Each chart includes vivid illustrations and instructive information. 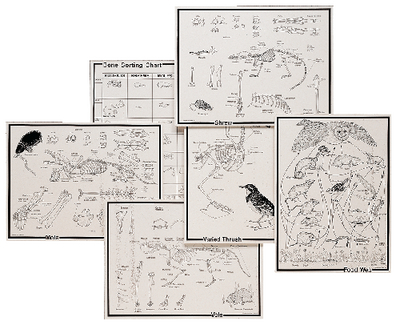 Charts include the owl’s food web, a bone sorting chart, a pellet information chart, and skeletal diagrams of a shrew, bird, mole and vole.